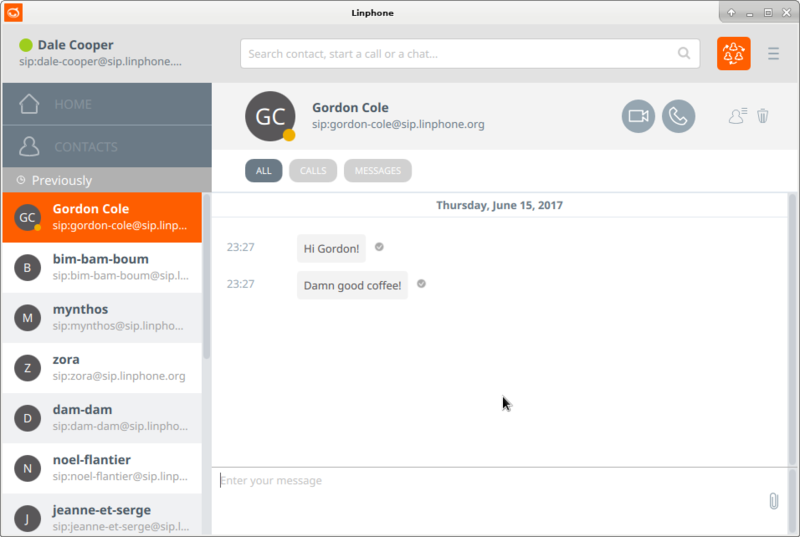 Linphone is a Web phone with a Qt interface. It lets you make two-party calls over IP networks such as the Internet. It uses the IETF protocols SIP (Session Initiation Protocol) and RTP (Realtime TransporT Protocol) to make calls, so it should be able to communicate with other SIP-based Web phones. With several codecs available, it can be used with high speed connections as well as 28k modems.